Published on February 1, 2012 January 19, 2012 by Kristina @ Family. Work. Life. You know how kids love a new toy, then suddenly are bored with it? I’ve figured out a way to double the life of some of our toys. Last year Conlan got a few puzzles for Christmas. We could have installed batteries so they could make noise, too, but decided against it for the sake of our sanity. Recently our sanity was once again in jeopardy when we were all house-bound for a week due to Snowmageddon 2012. The light bulb went on…I found some batteries, installed them in one of the puzzles, and it was like a new toy! 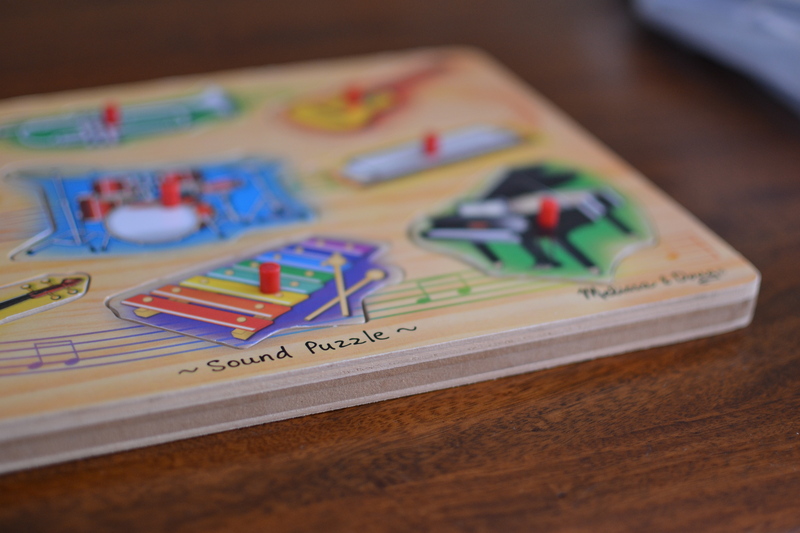 Now, the puzzles are a bit too young for him but with the newfangled noise feature, he found them interesting once again – and came up with creative new ways to play with them. We had done something similar with those noise & light infant toys when he was small, too. We got as much use as we possibly could with the toy itself…then when it lost its appeal, we turned on the bling. Don’t install those batteries right away! Double your fun (and your money) by waiting until they need a “new” toy to capture their attention! 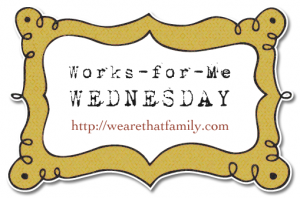 Today’s post is linked to “Works For Me Wednesdays,” tips to make your family’s life easier. WFMW is hosted by Kristen at We Are THAT Family.